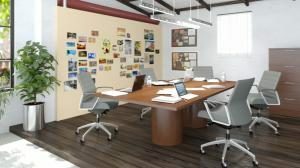 While there is still a place for the gorgeously finished 12 foot long stained and lacquered rectangular mahogany conference table, today there are so many more conference room decor options to choose from that are equally, if not more compelling and appropriate for the modern conference room designs. 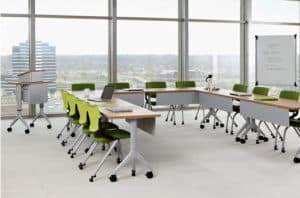 From classic wood conference table options, to elliptical space-age designs, conference tables from the major manufacturers have evolved to suite the ergonomics and design objectives of just about any office interior concept you can come up with. 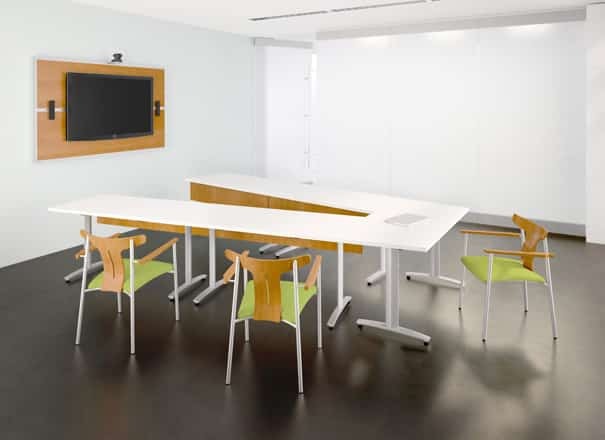 Perhaps the coolest trend in our modern conference table design though is the level to which the integration of media has been seamlessly incorporated. Cleverly integrated power strips, charging stations, network connections, video feeds, conferencing systems and more, can be integrated into the table so that clean, reliable power and connectivity is never an issue, no matter how long the meeting is. Both modern and traditional conference room table options allow flexibility of design and style. 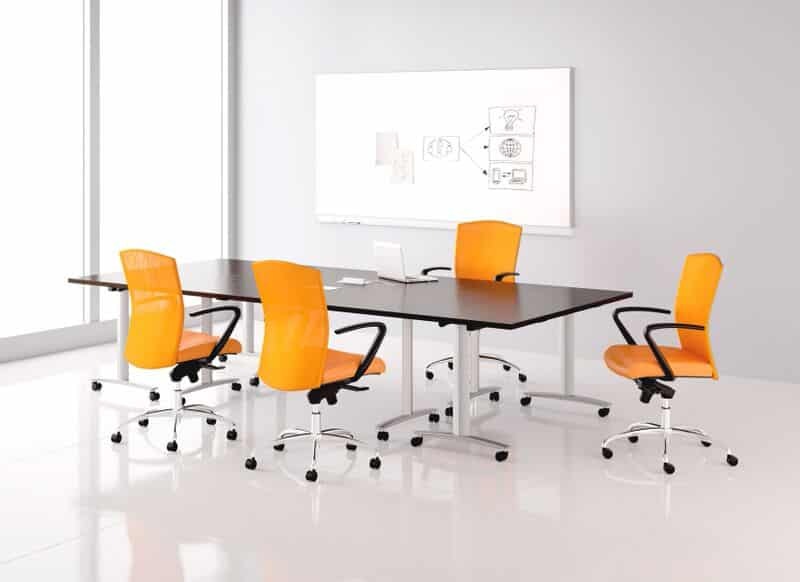 Our modern conference table furnishings are available in all materials from wooden finishes to glass or synthetic surfaces, or granite to meet the unique demands of high use meeting spaces for any size office and budget – large or small. We also offer a variety of architectural office walls, wall partition systems and glass partition wall options to completely redesign and modernize your contemporary conference space. 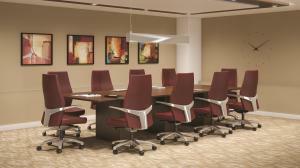 BE Furniture represents dozens of the hottest manufacturers of conference tables in the USA. 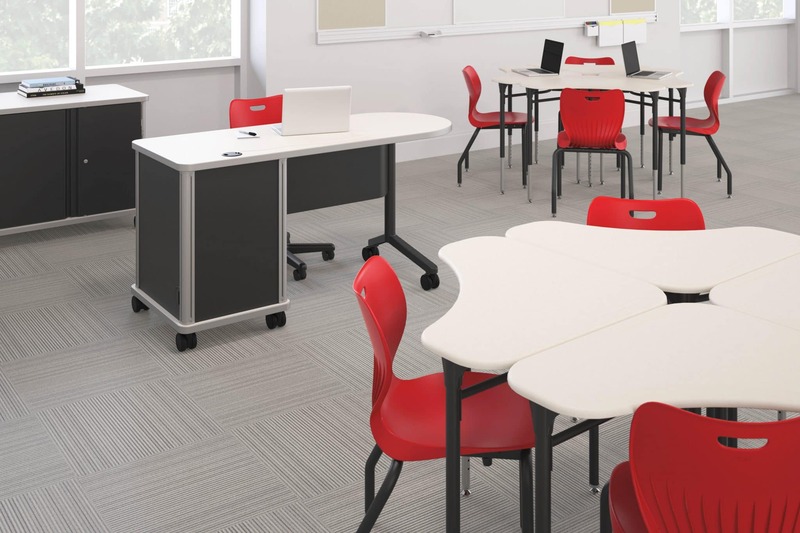 As an authorized national distributor with GSA approval, we are your one stop shop for high quality, custom-designed office conference tables for your new space. 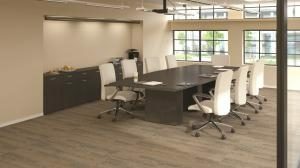 We offer design, installation and support to help make your project run smooth from start to finish.From conference tables to seating and office flooring options, we can fully furnish your conference room, your office, and your success, and we can do it for life. 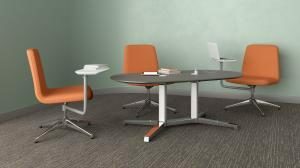 BE Furniture views your conference table as another important piece of your formal collaboration solution. It must be functional of course but also make the statement and project the style that is consistent with the culture you want to create. A conference table does not exist in a vacuum, and the chairs, and conference room that it sits in should have their design objectives dictated by the expected usage. Is this conference table to be used for internal team meetings or entertaining clients? Is video conferencing or phone conferencing important in the room? Is visual or sonic privacy important or is this an open collaboration design? Understanding all these elements is key to creating something that is a complete and cohesive conference room concept and not just a pretty table. This is the understanding BE Furniture brings to the table. Please call us today at 973.335.7700 for a no obligation, stress free conversation about how we can energize the collaborative process in your workplace.